The radio bug first bit David in high school when some of his friends introduced him to CB radio. He went on to earn his Novice and Technician amateur licenses during his service in the Air Force a few years later. 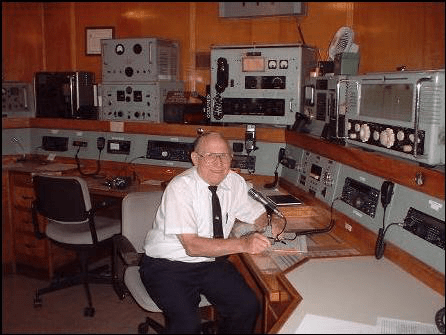 Two meter packet radio caught his eye in the late 80’s and kept him absorbed for over a decade until it faded from popularity in the early 2000’s. 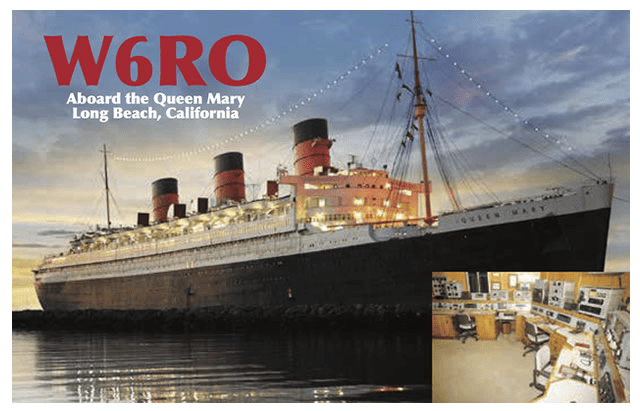 A move to Long Beach brought W6RO, the Wireless Room aboard the Queen Mary to his attention, and he joined the crew in 1993. 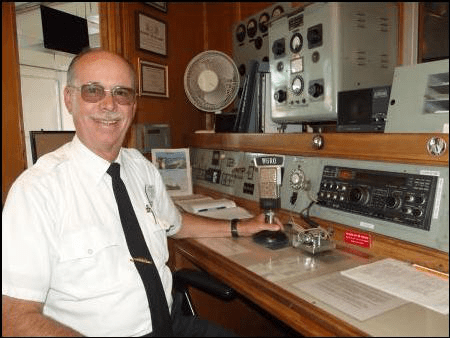 As older members of the Wireless Room crew retired, he took the job of QSL Officer in 2006, then Assistant Manager in 2009. He finally made the effort and earned his Extra license in 2012. 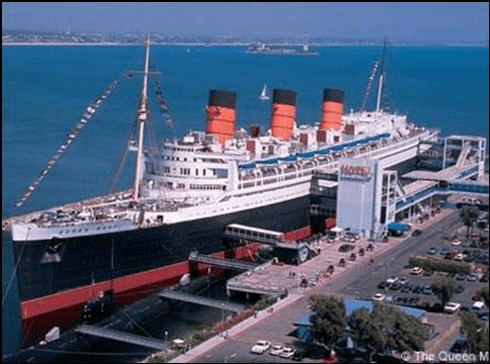 In 1967 when Nate read that the City of Long Beach planned to buy and bring the luxury liner, the Queen Mary, to its beautiful harbor as a tourist attraction, he thought, “How could we of ARALB make Amateur Radio part of the long voyage from England?” Nate initiated phone calls, paper work and official permission pleas galore to both countries. 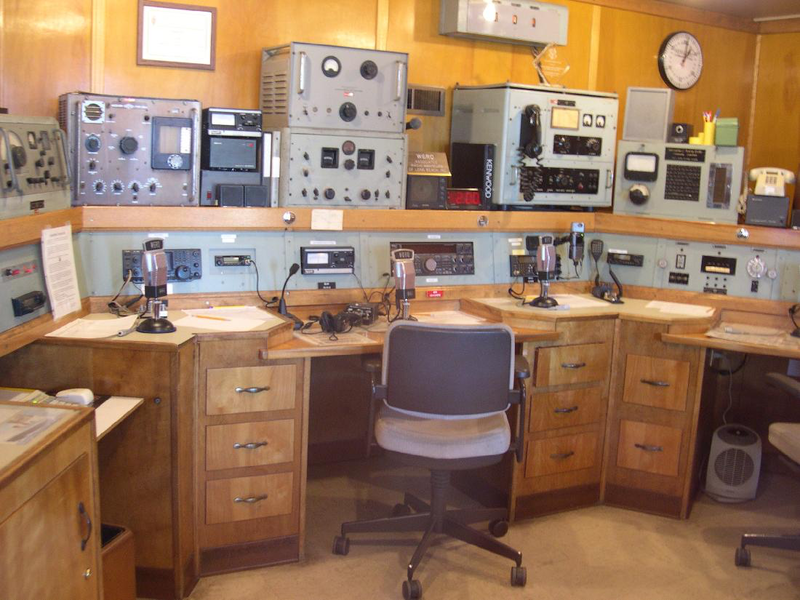 Finally, it happened: permission was granted and the ARALB club members supported a project to send club member Al Lee (W6KQI), to operate amateur radio aboard the ship for ARALB.